Far prettier than shown in this image. 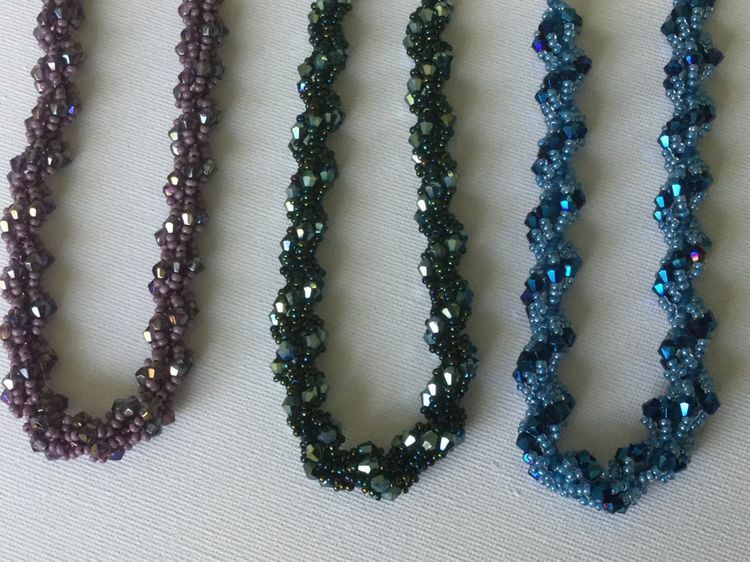 Made with seed beads and crystals. Finished with a toggle clasp making it easy on and easy off. This workshop will take about 2 to 3 hours to complete.